This group meets on the 1st & 3rd Monday of each month at 8:45am. For more information, call the office (951-925-7756). St. John's Lutheran Ministries' dedicated volunteers have worked with with Lutheran Braille Workers for 50+ years making Bibles in large print and Braille for people all over the world. 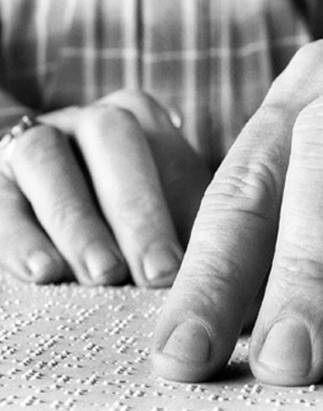 All publications by Lutheran Braille Workers are offered free of charge to those in need. This is made possible by generous donors and the efforts of over five thousand faithful volunteers. These volunteers, located in 194 Work Centers throughout the United States and Canada, produce millions of pages of material in more than 30 languages to visually impaired people in more than 120 countries.